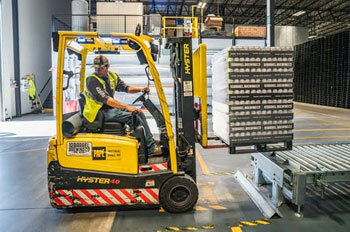 A logistic approach which aims to increase momentum and output with one-touch maneuver is cross-docking. A consignment is moved from one mode of transportation to another with not getting loaded down in a dock. In two-touch maneuver, the consignment is kept for some time prior to being moved to another transporting mode. This gives the logistics providers time to optimize load and boost some efficiency in transportation. In multi-touch maneuver, the consignment is rearranged through more than two shipments so that it meets consumer’s specification. In all these three approaches the consignments are never meant to be stored in a warehouse, at any location in-between. The consignment or cargo or freight gets carried away without any delay. It is quite clear that such operations are not achievable every time with every consignment. But, the method of cross-docking can bring down the expenses of the warehouse and the time taken for transportation. The procedure for distribution is controlled efficiently. These cross docking best practices make cross-docking a remarkable logistic strategy that can provide any company with many considerable advantages for competition. Numerous well-known business companies have implemented cross-docking for their success. Nowadays the economy is mostly determined by consumers, which requires to move the products rapidly, proficiently and inexpensively. And in doing so, every business will have an edge over its competitors. In order to gain this edge, several businesses are implementing cross docking services. When it becomes a basic element in their distributing system, it can either replace or utilize the policies of warehousing. One of the main characteristics of distribution in logistics is to stock up, retrieve, sort out and then reconsolidate the cargo in the warehouse. In such a situation both the Two touch cross-docking and Multi-touch Cross-docking might be brought into play. After the cargo is retrieved and sorted out it is then delivered to the retailers as per demand or when asked for. In the supply chain, cross-docking is preferred more than warehousing because of the huge inventory cost involved in warehousing. Sometimes the cross-docking companies outsource such logistics provider who can provide their services in managing the purposes of the supply chain. 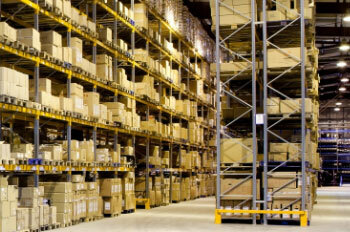 These companies are known to be third-party logistics provider and are the cross-docking 3pl. One Touch, Two touch cross-docking, and Multi-touch Cross-docking are all basic operations of a logistics provider, related to the handling of cargos. It is required to move the cargos directly and swiftly from one incoming vehicle to another outgoing vehicle. And generally, it has to be done within 24 hours in an aim to reduce the need for storing. This kind of operation is often referred to as “hub-and-spoke” planning. Sometimes the arrangements are similar to that of cross-docking and transshipment, where cargos are delivered in huge quantities. In transshipment, the consignment is moved from one location to another and then finally moved to the final location. The method of shipping consignment from one mode (trains, trucks) to another mode (ship, plane) of transport is said to be cross docking and transloading. To gather the complete advantages of cross-docking best practices, a logistics company should pay attention to using facilities exclusively intended for this practice. The cross-dock yard must be built in such a way that it has enough space for the movement of cargos and other equipment. In building such a facility the layout of the dock-area and its handling capacity must be taken into consideration. When a cross-dock is designed for consumer operation a logistics provider must look forward to the growing amount of consignments by constructing more facilities which are consumer friendly. A bigger number of business organizations are creating facilities for cross-docking. Such a facility would serve a big purpose if it’s inside the premises business organization if it’s in a different building. This would give more variable options for transportation and labor. Next factor to be considered is, ‘What nature of consignments is meant for cross-docking?’ The main widespread consignments best suited for cross-docking are durable commodities. These are those commodities which could not be sent through parcels or packets, like toys, furniture, machines, etc. Besides these, there are many perishable commodities which need to be transported frequently through cross docking services. Many items of beverages and foods have short longevity. They can be delivered as early as possible to maintain freshness and taste. Few other commodities that need special attention of cross-docking to Companies are the medicines and electronic devices. Since cross-docking requires less handling it reduces the threat of stealing and lessens the chances of damage. The most important factor that needs to be given attention is the use of updated technology. As the practice of cross-docking is gathering momentum the system to support it must be strong and the distribution of information must be well-organized and receptive. It may be either Two touch cross-docking or Multi-touch Cross-docking both call for a controlled course of action. All the different operations of cross-docking run on precise scheduling, tracking consignments, the positioning of trailers and supervision of the whole yard. That is why it is very important to have an excellent mechanism for planning and flawless arrangements. The cross-docking best practices must be used to identify the requirement of product for a consumer, the number of professionals required in accomplishing a certain task or what is the requirement of vehicles to deliver the cargo. And to successfully pull out a cross-docking process the support of Information Technology is a must.